Iota Nu Delta is the world’s first South Asian interest fraternity. It was found in 1994 at the State University of New York’s Binghamton campus. The fraternity has 13 chapters and has over 900 members on roll. The fraternity also partners with several philanthropic causes and hosts leadership workshops. The society promotes determination and recognition among men of south Asian decent but membership is not limited to any certain race. 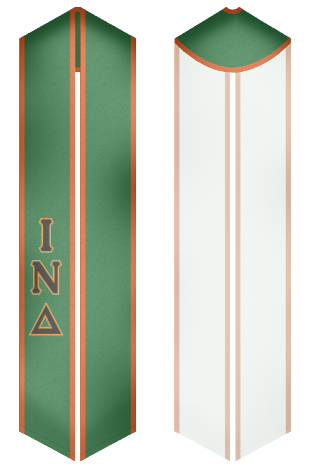 Make your graduation memorable and celebrate it by wearing your fraternity’s sash. We offer pre designed sashes and stoles or you can use our online design tool and make your own custom sash.